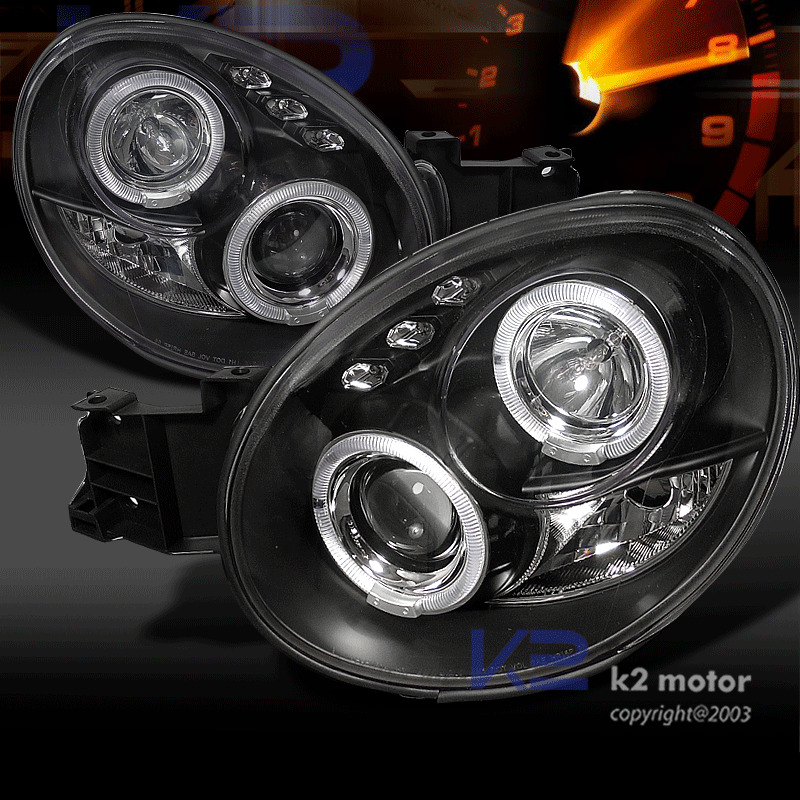 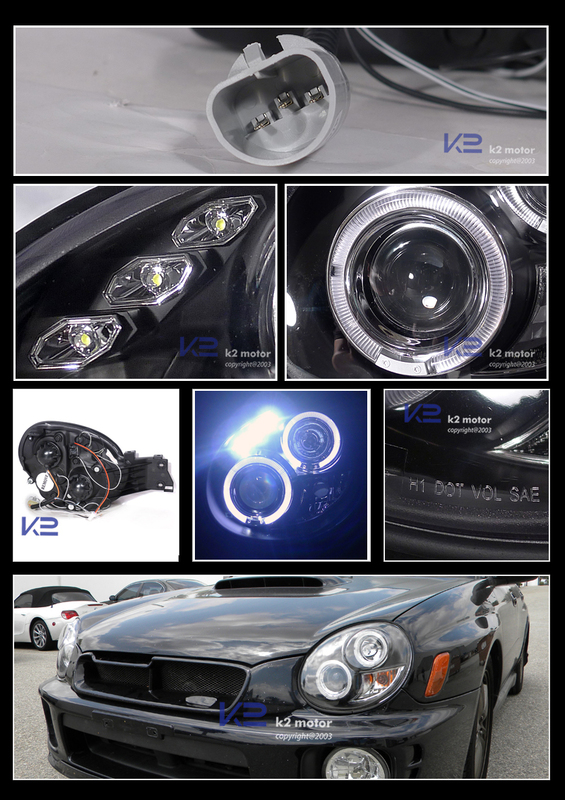 A Pair Of 02-03 Subaru WRX Dual Halo LED Black Projector Headlights. The Projector Headlights Kits Provide For Intense Light Beam Concentration, The Latest In Styling And Design, Use With Stock Replacement Bulbs And Ease Of Installation. 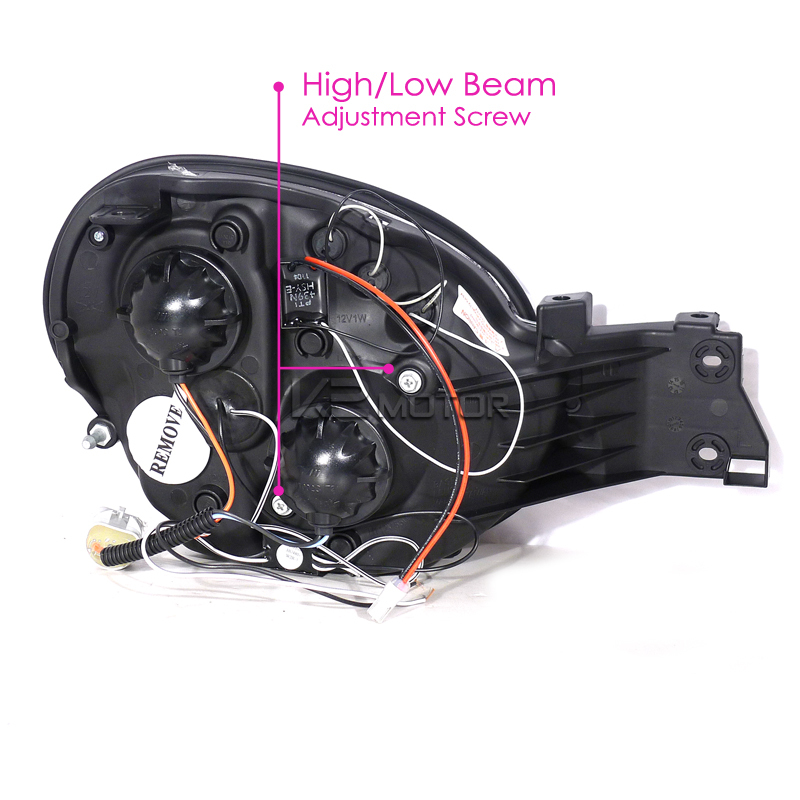 Made Directly for Plug n' Play Installation with no additional wiring or harness!